Afternoon all! As I’ve been slogging through my backlog of polishes to swatch, I’ve realized for awhile I went on a big purple polish kick. I’ve mostly grown out of it but geesh, purple polish galore over here! Now I’m on a blue polish kick. 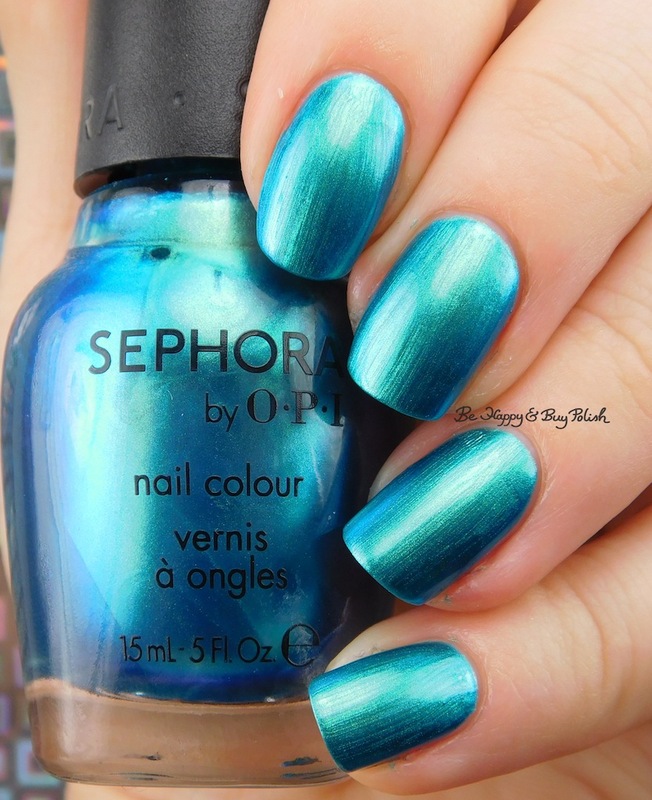 😀 Apropos of nothing, I have two Sephora by OPI polishes today: Opening Night and Mermaid to Order. 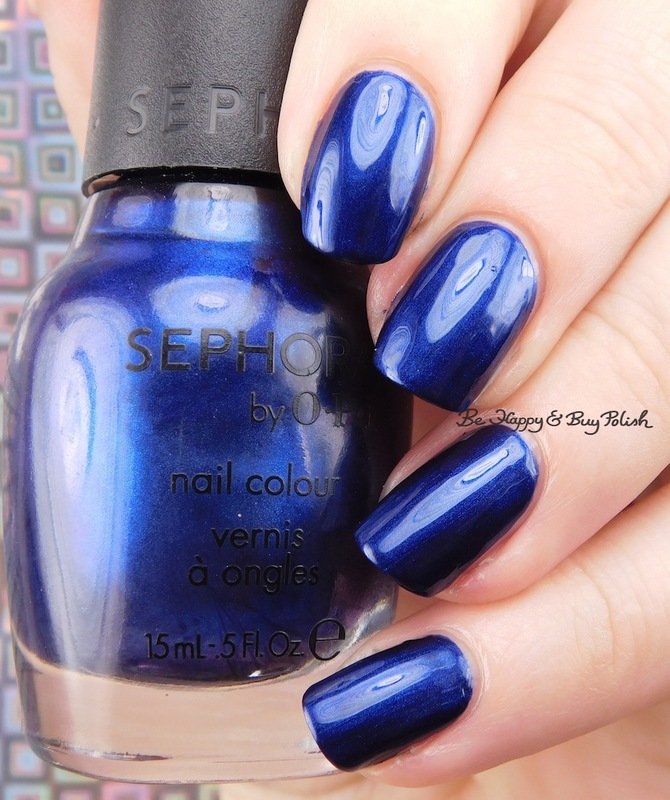 Opening Night is a dark blue polish with cobalt blue glowiness and also hints of purple. Formula was thin and sheer; application was patchy. It dries satin. This is 3 coats plus top coat. Mermaid to Order is a shimmery turquoise blue with shifts to purple, teal, and blue. Formula was thin and sheer; application was brushstrokey. It might stain nails! It didn’t stain mine but did stain the skin beside my nails. This is 3 thin coats and no top coat. I gotta admit, I kinda miss seeing SOPI polishes in stores, overall they were really a great line (which is probably why I have quite a few, all picked up on clearance/Big Lots/Ross). Opening Night has an interesting kind of swirly, mottled pattern in your close up shot! I’ve been finding some old SOPI in dollar stores too. Isn’t it sad? They’ve put out some great polishes! But for me, the price point was never right, ya know? I could swim in that first blue!